Moodabidri, Mar 23, 2017: ‘Too much dependency on social media causes innumerable problems. 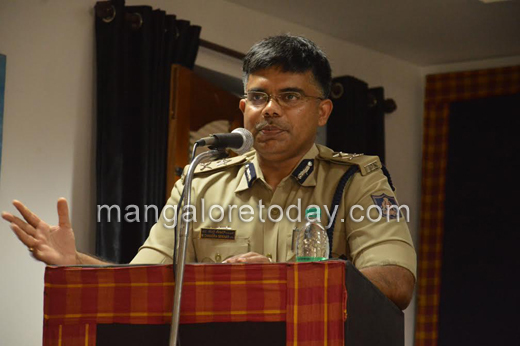 So, be cautious about what you upload in social media platforms which is laden with number of risks associated with online communities’, said Mangalore City Police Commissioner M Chandrashekar. 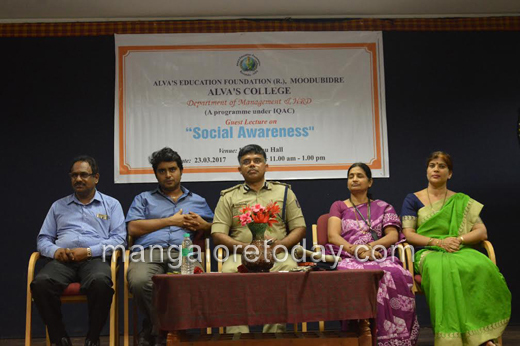 He was speaking in a guest lecture on ‘’Social awareness’’, organized by Alva’s UG dept of commerce, on Wednesday, at Kuvempu Hall, Vidyagiri. ‘Our public profile should be limited, it is ourselves who invite problems by posting exorbitant information and images in social media, cutting with problems’, he observed. Nevertheless, there are many young people who have an attachment to their online lives, whether it may be social media or gaming, that is unhealthy and can cause them significant problem with school performance, social life and even physical health, he added. Drug addiction is problem that has been increasing immensely among our society, should be curbed in its roots, he cautioned. Quoting his own experience with students, an aerospace engineer who turned to be a police officer with inspirational thoughts of Dr APJ Abdul Kalam. He suggested students to confront with problems, instead of procrastinating it. He added said, we all have fears, may be fear of failure, fear of rejection, but we have to walk in the direction of fear to get out of it. Excellency, positivity, and gratitudeness are the driving human values which takes success along with it, he opined. Answering query about cracking the skill of civil service examination, he said one should be having analytical mind to tackle the issues. 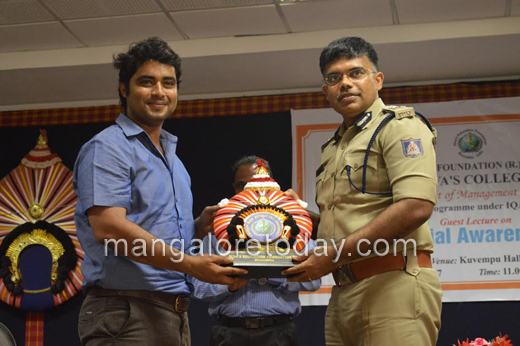 He called upon students IAS, IPS are the real options and work on it. Presiding over the program, Alva’s Education Foundation Trustee Vivek Alva said, students should strive hard to get excellency in every walks of life. Hard work and efforts, which will pick up in reaching a particular acme, he added. ACP Rajendra, Alva’s college Principal Dr Kurian, HRD Dean Surekha, Coordinator Rajashree were present among others.